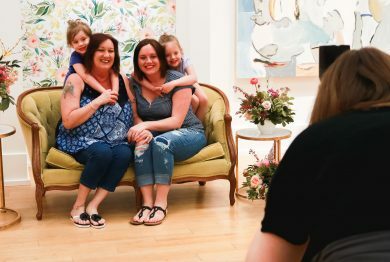 Bring out the family and get FREE photos taken with (or for) Mom, in celebration of Mother’s Day coming up! The photos will take place in our Fountain Court, located outside of JCPenney, with the talented Kailey Louise Designs behind the camera! Photos will be done on a first come, first serve basis and will include a few shots of your group in front of our festive setup. Photos will be available a few days after the event, with downloading and printing rights.